I am pleased to present the Annual Performance Review of SBP Banking Services Corporation for the financial year 2016-17 during which the Corporation made impressive strides in all spheres of its operations. The performance of SBP BSC during the year witnessed significant progress towards automation in its core business functions and various business process re-engineering initiatives. On the strategic front, the proposed amendments in SBP BSC Ordinance 2001 have been recommended by the Committee of the Cabinet for Disposal of Legislative Cases (CCLC) to the National Assembly for approval. The proposed Bill, when enacted will go a long way in improving the governance framework of SBP BSC and support it in meeting its strategic objectives. 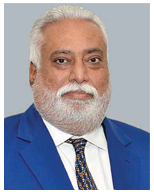 The year also witnessed major developments towards implementation of organizational restructuring of the Corporation as selection process for posting of Group Heads was completed, albeit only two have joined until now and the position of third Group Head is still vacant, which is likely to be filled in during next year. The management continued its efforts to make the office of the Regional Head more effective. Resultantly, the Regional Heads have started providing overall guidance to offices falling in their respective regions, in addition to providing their feedback on major issues relating to these offices to departments at Head Office. Implementation of restructuring arrangements of SBP BSC has started showing improvement in internal controls, enhancement in efficiency of our operations, besides allowing the Managing Director to focus more on strategic matters. During the year, SBP BSC continued to provide banking services to the Federal, Provincial, Local Governments and their attached departments by processing around 7.04 million transactions. Moreover, the Federal Board of Revenue was facilitated in collection of taxes of Rs 3,394.8 billion, reflecting an increase of 7% over the previous year. In line with the Vision 2020 of SBP, major initiatives undertaken towards automation of banking transactions include: the implementation of e-cheques reconciliation of Financial Accounting & Budgeting System (FABS), payment of sales tax refund through consolidated authority and collection of Government taxes through Electronic Fund Transfer. Efforts were also initiated for use of alternate delivery channels for collection of government revenues. During the year, the State Bank approved one provincial bank as its agent for collection of provincial taxes. bank, but also the commercial banks embarked upon the journey of automating their cash handling practices. Further, in view of the changing business dynamics and to bring our practices at par with global standards, an immediate need was felt to undertake further measures within SBP BSC on priority basis to handle increased influx of soiled bank notes as a sequel to automation of currency management by banks. In order to fully automate front and back-end cash processing, the management carried out a comprehensive Need Assessment for the requirements of cash handling machines. Accordingly, it proposed a three-phased strategy for installation of a mix of high-end and medium sized banknote processing machines and off-line banknote destruction systems which was approved by the Board of Directors of SBP BSC. We are now initiating phase II of the project which envisages procurement of four Banknote Processing and Authentication System (BPAS) machines and four Banknote Destruction Systems (BDS) along with other machines by December 2018. Message from Managing Director, SBP Banking Services Corporation notes was broadened to 1,002 branches of banks in 120 cities across the country. The service received an overwhelming response from the general public which can be gauged from the fact that around 90% of branches in big cities like Karachi, Lahore, Faisalabad and Multan had reached their maximum limit in first four days of the launch of the service. Later, the limits for majority of branches were enhanced. Through this service, Rs 25 billion worth of small denomination notes were issued to around 1.5 million people. The cooperation extended by Pakistan Banks’ Association in implementation of this service remained encouraging and forward looking. Another worthwhile achievement is the migration of Currency Globus system to T-24 platform, for which our teams at Field Offices and Head Office worked tirelessly with the teams of the Information Systems Department of SBP. The T-24 module for banking is also likely to go live in due course. As an agent to the Government, the SBP BSC has been actively engaged in managing operations of various public debt schemes of the Central Directorate of National Savings (CDNS), particularly National Prize Bond (Bearer) for sale, encashment, conducting draws and prize money payments etc. During the year 2017, a new registered prize bond scheme called “Premium Prize Bond (Registered)” worth Rs 40,000/- was launched by CDNS, through offices of SBP BSC. The SBP BSC team provided active support and guidance to CDNS in the development and implementation of this scheme. Likewise, efforts are also underway, in coordination with the management of CDNS, for launch of Rs 100,000/- denomination Registered Prize Bond. Further, opportunities are also being explored to enhance the outreach of this scheme by utilizing branch network of commercial banks, in addition to consideration for SCRIPLESS structure. Foreign Exchange Operations Department, which was traditionally reliant on manual work management, has embarked upon a transformation process, shifting its focus from manual transaction processing to an automated workflow management. In this regard, it has taken various initiatives for establishing efficient oversight on trade/foreign exchange transactions on off-site basis. After the issuance of electronic ‘E’ and ‘I’ forms, the Department has been endeavoring towards the automation of verification of performance of exporters in an efficacious manner that will result in verification of more than half a million entries in an automated manner, thus achieving significant reduction in turnaround time. An automated Airport Booth System has been developed for capturing the data of Export and Import of foreign currency by Exchange Companies, against permission granted by Exchange Policy Department of SBP, through SBP-Customs booths in order to ensure timely repatriation of foreign exchange against the export of different currencies. Going forward, there are plans to pursue multi-pronged strategy to strengthen FX framework through automation of work flows, transformation from management of FX transactions to off-site monitoring, development of a smart reporting system and a database accessible to Authorized Dealers for evaluating performance of exporters. FEOD approved 17,000 cases of commercial, private and trade related remittances during the FY17. Automation of work flows is a step forward towards implementing an integral component of Strategic Goal (SG6) and corresponding Tactical Objective (TO6) of SBP Vision 2020. The program envisages improving work environment in SBP and SBP BSC by capturing, storing and sharing knowledge of the Bank, facilitating easy access to documents and reducing document search time by designing, building and managing centralized repository of information and knowledge. 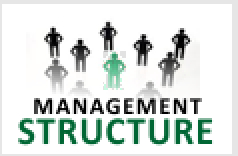 This project has been made part of the Knowledge Management framework of the Corporation. 36% higher than the stuck up export proceeds realized by FEAD during last year. FEOD efficiently managed around 12 different subsidy schemes of the Federal Government for exporters and disbursed Rs 30 billion during FY17. FEOD team worked very hard to ensure that exporters receive their claims on time and managed to disburse the budget received just a few working days before the close of the financial year. Besides improving the internal processes, attention has also been given to capacity building not only of the Department, but also of Authorized Dealers. FEOD launched a 12-day Foreign Trade Certification Program with the help of National Institute of Banking & Finance (NIBAF), besides conducting various short programs during FY17. During FY16, the offices disbursed Rs 500.09 billion and Rs 81 billion under the Export Finance Schemes and Islamic Export Refinance Schemes of SBP. The DFSD and its units across BSC also facilitated DFG in implementation of a number of initiatives/ programs through its Access to Finance Units (AFUs) for information dissemination, capacity building, awareness creation, and development of linkages with stakeholders in SMEs, infrastructure & housing finance, agriculture and horticulture sectors etc. During the year, SBP BSC Field Offices conducted 26 meetings of the focus group on agricultural finance, which contributed effectively in helping the commercial banks to disburse an amount of Rs 704.5 billion to the agricultural sector as against the set target of Rs 700 billion. The Field Offices also held a number of such meetings in the areas of SME Finance, Microfinance, Islamic Banking and Housing Finance. Likewise, Rs 481 billion and Rs 92 billion were disbursed by Field Offices to commercial banks as refinance under the Export Finance Scheme and Islamic Export Refinance Scheme respectively. The compliance to SBP’s instructions issued under these schemes was also ensured through on-site verification of more than 13,000 cases during the year. Moreover, a number of initiatives, including the conduct of various training sessions at NIBAF, Islamabad and dissemination of Development Finance Group of SBP policy initiatives regarding Islamic Banking, Agricultural Finance, Microfinance, SME Finance and Housing Finance helped us to expand outreach of financial services at grassroots level. Further, there was significant progress regarding National Financial Literacy Program (NFLP) during the year under review, with the successful conduct of a week-long Training of Trainers (TOT) for SBP BSC officers where 23 Master Trainers were identified. These Master Trainers conducted 14 mock sessions for over 200 community members and further facilitated in imparting training to 87 Field Trainers from banks. In order to meet the HR Gap created due to early retirements, 276 officers have been inducted into SBP BSC during the year under its management trainee schemes in OG-1 and OG-2 grades, besides induction of specialized professionals in the Forex Trade, Engineering, Procurement and Security areas. Further, various Organization Development initiatives were successfully undertaken that broadly included the review of our HR policies, merger of Cash and General Sides, conduct of Workload Analysis through independent external consultants with the objective to systematically identify the HR needs, strengthening of PMS, including automation and successful implementation of Mid-year Performance Review, conduct of Management Development Centers through external consultants to identify Management Development needs in a structured manner etc. The management has consistently focused on capacity building of HR through participation of suitable employees in training programs at NIBAF, renowned domestic training institutions like IBA, LUMS, PSTD, IBP etc., as well as foreign training institutes/conferences and seminars. As a result of these initiatives, a total of 2,277 participants attended various training programs during the year, including pre-induction trainings. I must acknowledge the continuous improvement initiatives undertaken in Support Services cluster including Engineering, General Services and Internal Bank Security departments which are providing common services to SBP, SBP BSC and NIBAF. The procurement management framework has been streamlined to meet the desired procurement needs and timelines across multiple areas like IT, consultancy, general services and goods in compliance with PPRA rules. Further, Bank’s security framework has been strengthened through multiple security arrangements that included the establishment of fire and safety mechanism. Initiatives are also being undertaken to upgrade the security systems through IP-based surveillance system and e-fencing of SBP buildings. Moreover, several re-construction, renovation of existing buildings as well as work on new buildings are being carried out to improve the housing of SBP BSC offices. A number of activities are being performed by SBP BSC in pursuance of Corporate Social Responsibility (CSR) which include: (i) Summer/Winter Internship Programs offered to the students of Pakistani universities/institutes, which provide students an insight about our core functions and working (ii) Outreach Programs in the shape of conferences/seminars/exhibitions/ workshops/capacity building programs etc., aimed at educating the stakeholders/academia/general public about topical issues, and (iii) Promotion of sports and healthy recreational activities, which has earned a good name for both the State Bank and SBP BSC. The notable activities in the arena of sports & recreational activities included the holding of SBP Governor’s Cup Interbank Regional Cricket at seven offices, SBP Governor’s Cup Interbank Super Series Cricket Tournament 2016-17 at Islamabad and also some other tournaments, display of outstanding performance by SBP cricket team at various national level tournaments and holding of a grand Fun Gala and musical event during FY17. role assigned to it, in an efficient and effective manner. I would like to acknowledge the hard work and commitment of the management team, officers and the staff of SBP BSC towards achievement of our strategic objectives. Finally, I would like to place on record my deepest appreciation to the Governor and the members of SBP BSC Board for their continued support and guidance provided to the Corporation without which it would have been difficult to achieve various milestones during the outgoing year..